The Toz Model 8, is a Russian .22 LR Bolt action Rifle. 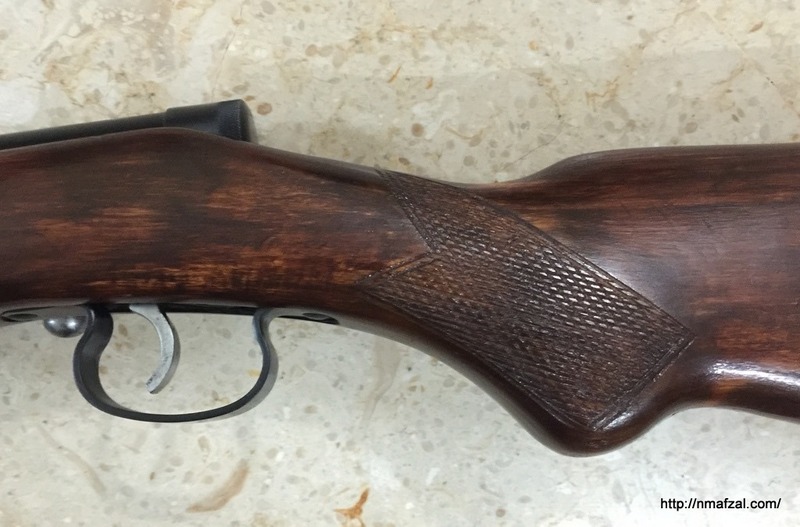 Toz 8 was in initially conceived in 1932 for small game hunting, practice and teaching purposes. 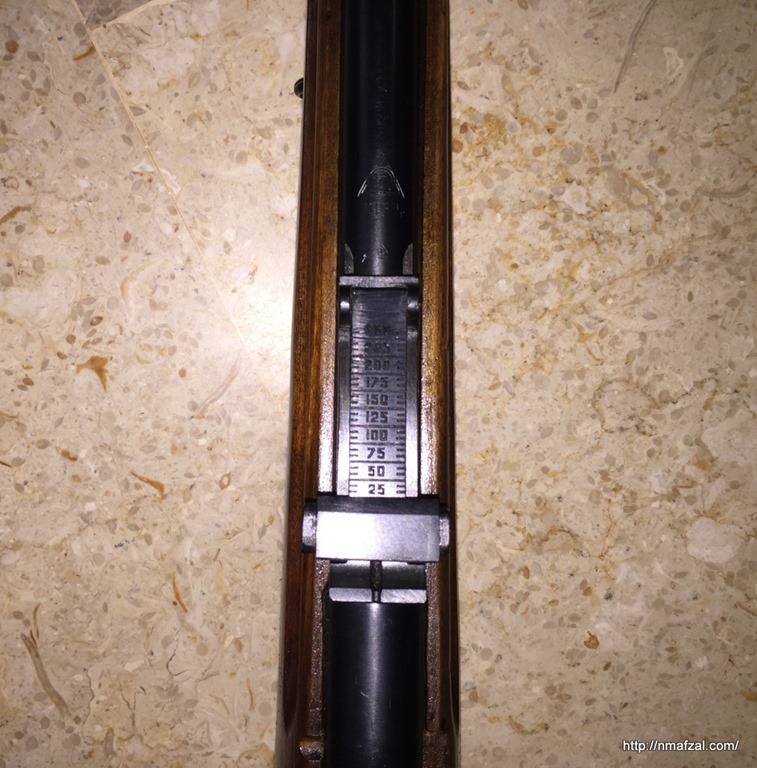 The rifle being reviewed is 1957 model. It is a single shot model, meaning the rifle lacks any magazine or clip. You load in a round, fire it and after ejecting it load another one. The rifle is really simple to disassemble. Just remove two screws and the whole thing comes apart in seconds. 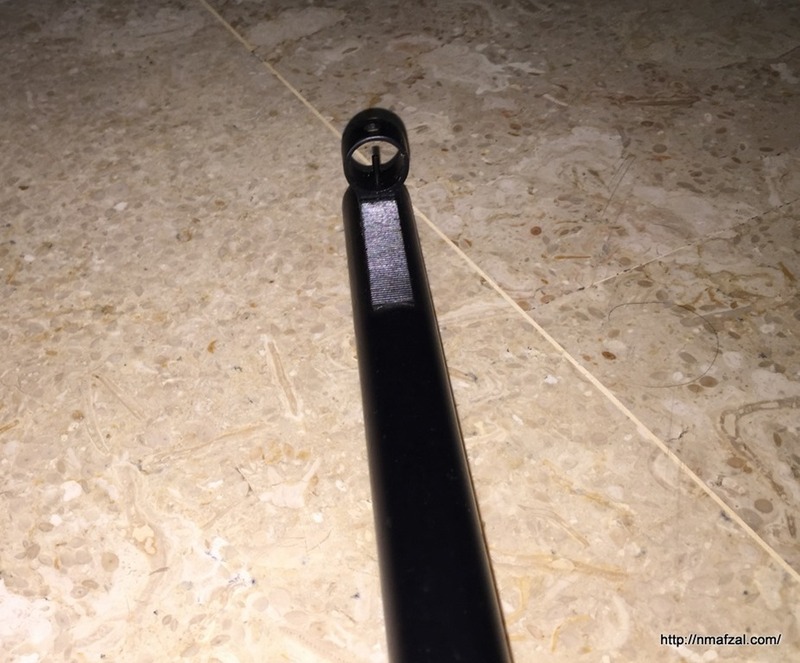 The rear sight has a graduated scale, up to 250 M, in 25 M steps. The front sight is fixed. 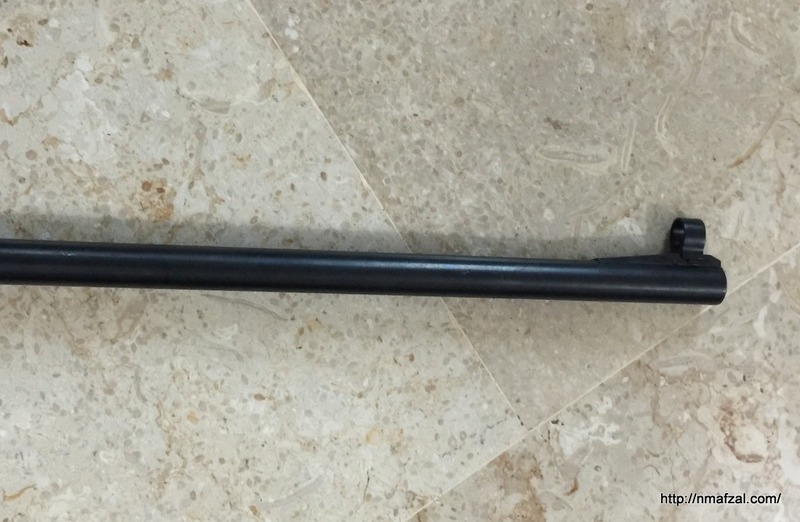 The rifle has a 25” bull barrel. See the checkering on the grip. Also the cover is used as a protection for the firer and stops the bolt while the rifle is in assembled state. Hi, I have one of those . please tell me how can I separate barrel from reciever. Kaveh asked how to remove the barrel from the receiver, not the receiver from the stock. Oh my bad. I didn’t realize. I, too, have one of these. My dad sent it from Korea during the war…still in the cosmoline (sp?) package. With it I won every sharpshooting medal the Boy Scouts had to offer…not to mention several squirrels. Still in prime condition. Any idea what ilt is worth? Hi. I have a rifle very similar to the one you have. In my registration card it says: Brand unknown. I have for some time been trying to find out what it is, but have not succeeded. However your rifle looks very much like mine, except for the sights. Mine has an adjustable diopter and a much smaller front sight. Do you have any idea what type of Baikal it might be? I hope you can help me. Thanks in advance.